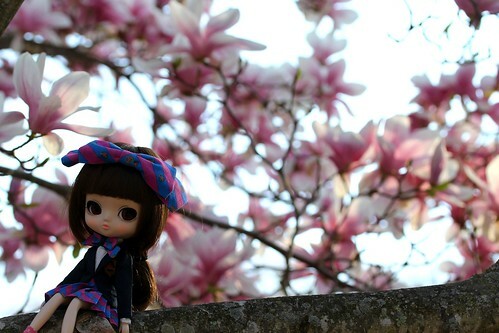 Please meet the newest member of Pullip’s family, Yeolume! 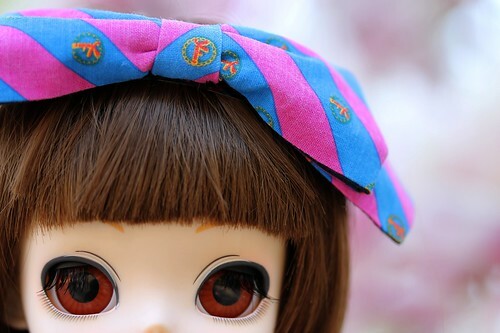 Yeolume is Pullip’s daughter from the future. She is the seventh member of the Pullip family to be introduced (the other six members being Pullip, Namu who has since been retired, Taeyang, Dal, Byul and Isul). Unlike other members of the Pullip family, rather than have an articulated body she has a bendy body (her body is more similar to Blythe than any member of the Pullip family). 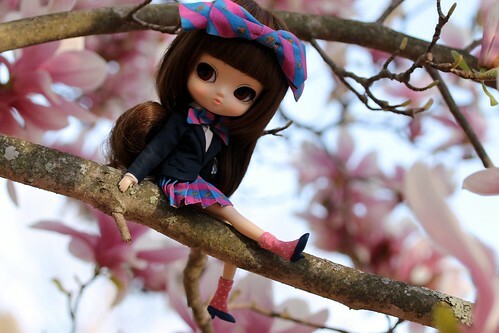 Also unlike all the other Pullip family members, Yeolume is not made by Groove but by Ars Gratia Artis. Because she isn’t made by Groove she hasn’t really been widely distributed in the US yet, she is currently available via Pullip.net. I am very fortunate and privileged to have a Yeolume visiting me right now. Pullipstyle very graciously has loaned me the production model of Yeolume that they received from Groove. Since she is just here for a limited amount of time, I am trying to make the most of her visit and take plenty of pictures of her. I will be doing a short series of blog posts focused on her including a post featuring size comparisons with her and the other Pullip family members (and other size specific stuff) as well as at least one other focusing on her outside of her stock (as she is not my doll, I will not be making any permanent changes to her ie. while I like to see what she looks on a dal body, I’m not doing it because she isn’t mine). No deboxing photos this time around as Yeolume came to me already deboxed. To be honest, I wasn’t quite sure how I would feel about Yeolume in person as she seemed to be somewhat lacking in personality in the original round of promotional photos; I am happy to report that she is not only super adorable in person but she also seems to have that spark of personality that attracted me to Pullip in the first place. I was quite excited to get my hands on her as she seemed quite mysterious to me as there haven’t been a whole lot of owner photos of her yet and her body is something we absolutely have not seen on any Pullip related doll yet. I was initially a bit worried about just how pose-able Yeolume would be in this new type of body especially since I love articulation so I wasn’t sure quite sure how she would be to work with. While she is admittedly not as pose-able as her mama, Pullip she is at least as pose-able as Blythe. I was really worried that I would have a lot of problems posing her but I got used to the new style of body and it’s capabilities pretty quickly. Isn’t she just too precious? More on Yeolume coming soon! 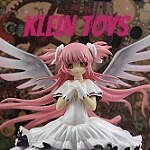 This entry was posted in Doll, Pullip and tagged Pullip, yeolume, yorome. Bookmark the permalink.